All workshops are half-price for teens and/or sponsorships available. See Holiday for details. Cash or checks only, please. We aren't able to process cards. 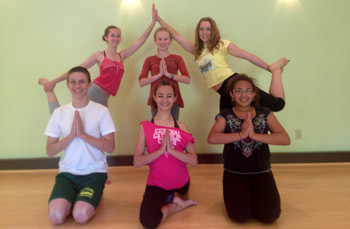 Teens are invited to ALL classes: $5 drop-in, START TODAY! Weds, Days & Evenings Personal Yoga Training with Holiday. Payment is due the first day of class. bringing a friend with you to another class during that term. Missed class credits will not transfer into a new term (no exceptions). Please come prepared: It is important to be on time to class. Come early enough to change & set up your space. Wear stretchy clothing, preferably fitted. Bring bare feet & an empty stomach.